You may have thought your company’s new espresso machine was fancy, but it’s got nothing on this trippy new sculpture hidden in a Midtown office. Designed by famed light installation artist James Turrell (you may remember his wildly popular “Aten Reign” that filled the Guggenheim’s rotunda with shifting artificial and natural light a couple years ago), “Three Saros” is a 24-foot, two-story volume that “transports spectators into an ethereal, prismatic sea of light”—likely also reducing smoking breaks and water cooler kvetching. Situ Fabrication, which is the construction branch of Brooklyn architecture firm Situ Studio, was responsible for erecting the sculpture. They started with a 3D model to understand the structural, lighting, electrical, and mechanical elements. They then worked with Laufs Engineering Design on the structural components (the interior needed to be completely seamless and the exterior polished) and with Art in Construction on the walls (they’re made from glass fiber-reinforced gypsum, which is a lightweight yet high-strength medium that can be molded into almost any form). 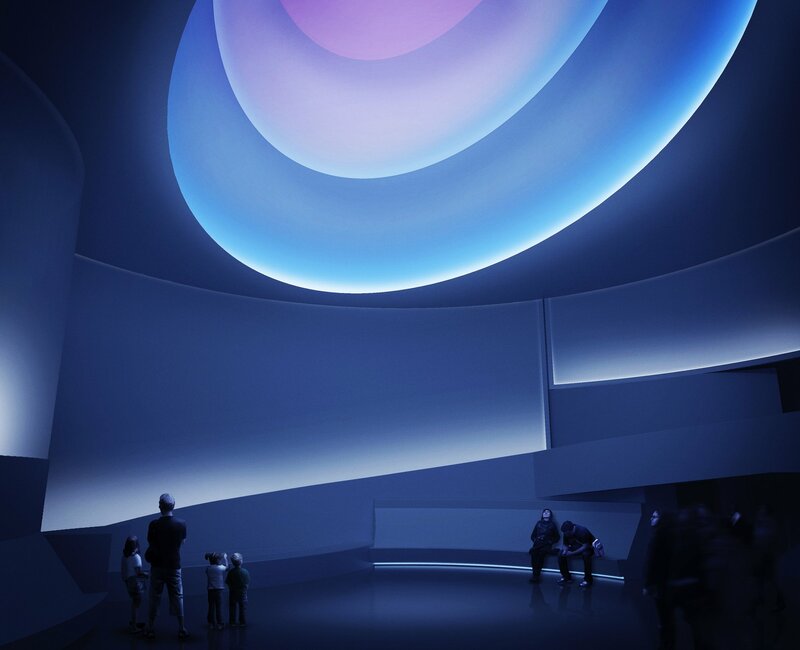 This past fall, it was rumored that Turrell created the neon backdrop for Drake’s “Hotline Bling” video. Though the artist denied any involvement, the immersive qualities, in which the participant is entirely bathed in light, are quite similar. Stay tuned for Instagram selfies that may very well reveal the location of this office wonder.